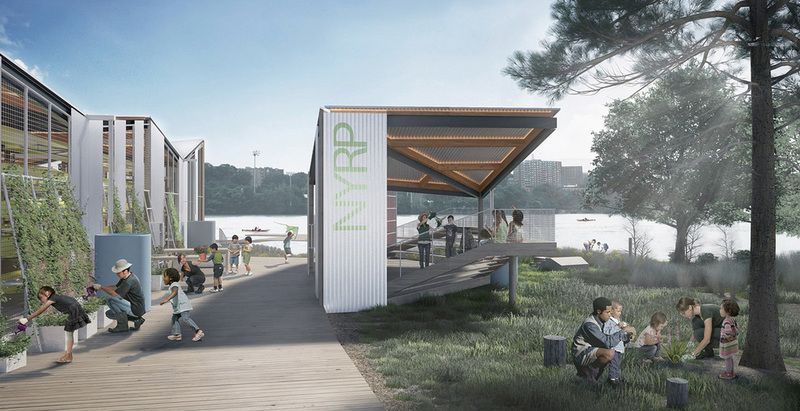 FloodLAB, an education pavilion and boat house for the New York Restoration Project, expresses resilience and sustainability along a tidal flood zone— a new publicly-accessible gateway to the Harlem River waterfront. 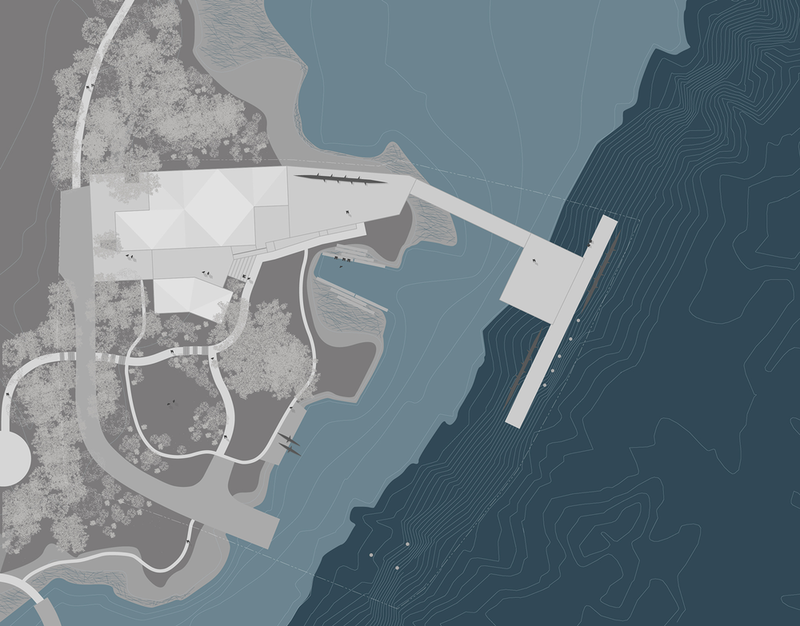 Our landscape strategies celebrate and enhance the sustainable coastal ecologies that are native to the area. 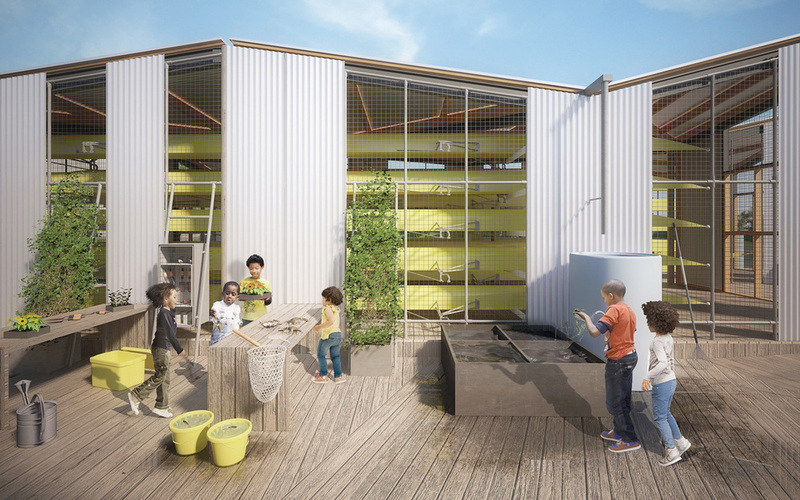 FloodLAB transforms a derelict site into an engaging educational destination— the architecture and a new waterfront promenade include a range of teaching tools to explore water stewardship and the biodiversity of the natural habitats at the water’s edge. FloodLAB serves as both a classroom and a working laboratory for field work and experiments. 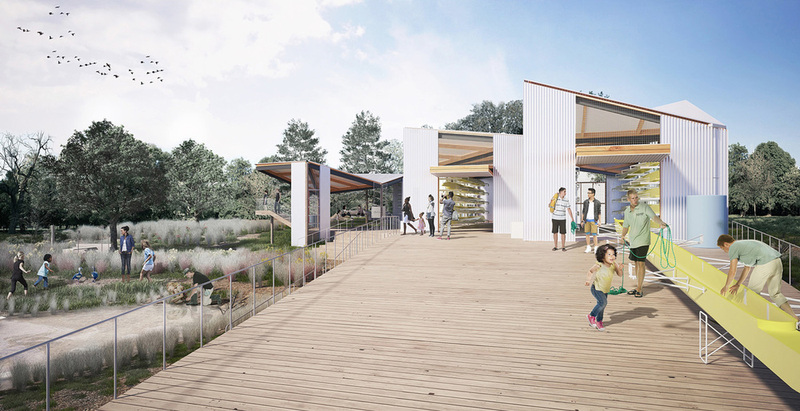 The education pavilion and boat house are equipped with deployable work tables for experiments & display, trellises for growing plants and drying specimens, a water table for water experiments using harvested rainwater, and mesh ‘storage piers’ to keep equipment safe and dry. A new boat dock becomes a protective arm around the shoreline- it diffuses tidal wave action so a protected eelgrass colony can thrive. 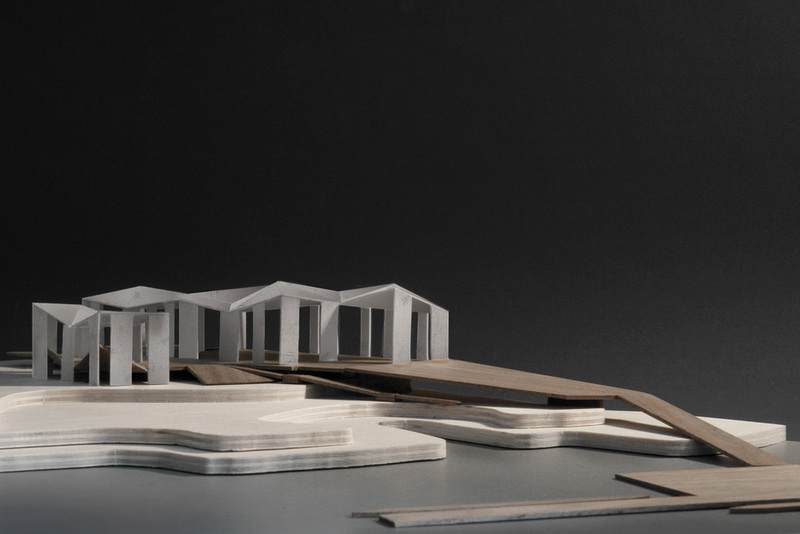 The project uses reclaimed boardwalk timber for the esplanade and boat staging areas. A faceted corrugated roof channels rainwater into 5 cisterns. Water from the cisterns will be used to wash boats, classroom gear, and irrigate plants on the site.